On this evening, the audience will enjoy Beethoven’s septet in E-flat minor, Opus 20. Composed of six movements, the septet was one of Beethoven's most successful and popular works, circulated in many editions and arrangements for different forces. 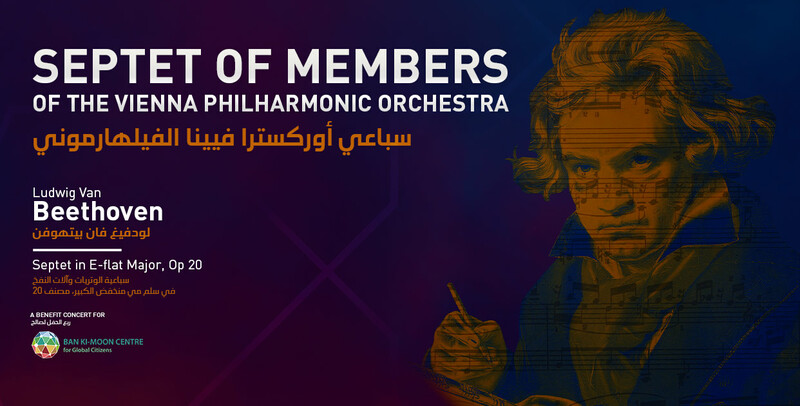 The piece will be performed by seven virtuoso members of the Vienna Philharmonic Orchestra to the benefit of the Ban Ki Moon Centre for Global Citizens.